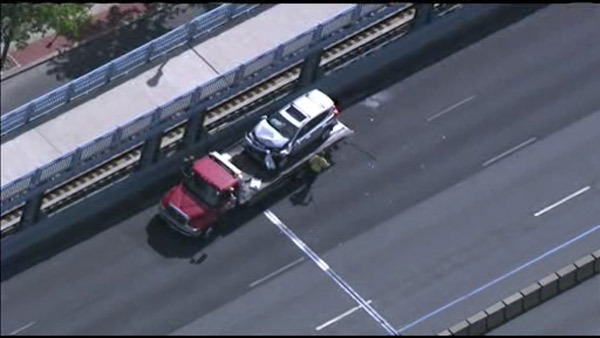 PHILADELPHIA (WPVI) -- At least two people have been taken to the hospital after a multi-vehicle crash on the Ben Franklin Bridge. It happened shortly before 4 p.m. Tuesday on the eastbound side of the bridge. By 4:30 p.m., the DRPA said all lanes were back open to traffic. Two people were taken to Cooper University Hospital. There is no word on their conditions.